The government funded anti-drug group D.A.R.E recently posted an op-ed calling for the legalization of marijuana, after years of supporting failed prohibition policies. 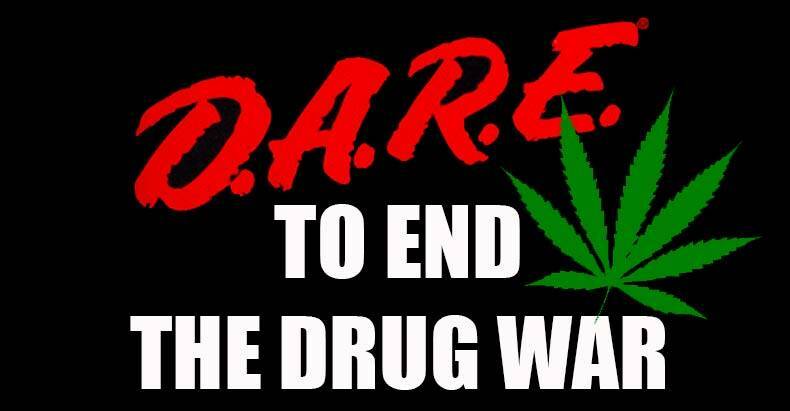 For decades, D.A.R.E has been spreading misinformation about all drugs, and the effects of prohibition in general. However, in regards to marijuana, their rhetoric has been especially false. Members of the group have visited schools on a regular basis, telling children that marijuana is a dangerous gateway drug that will undoubtedly lead to homelessness and heroin addiction. It seems that D.A.R.E is finally losing the battle as the times change and as children today have the internet and are able to research the reality of the situation for themselves. In a recent op-ed letter, D.A.R.E rep and former deputy sheriff Carlis McDerment actually said that legalization of marijuana would create a safer environment for children. This statement is a radical change from the official D.A.R.E narrative, which maintains that legalization would lead to an increase in drug use among younger people. While writing a story on this recent development, Washington Post reporters contacted the D.A.R.E editorial staff to find out if their position truly changed, and why the story was so quickly remove from their website. It turns out that while McDerment was able to post on the website and does have the proper credentials to speak on the issue, the rest of the staff at D.A.R.E was not pleased with the article, and only approved it because they didn’t actually read it. However, this does show that there is now heavy debate taking place within the realm of law enforcement about the legalization of marijuana.